On Tuesday, Yahoo announced that all of its 3 billion accounts had been hacked in 2013, tripling the estimate from earlier by the Internet giant for the largest ever data theft in history. The announcement was made in a disclosure that attorneys said increased legal exposure of Verizon Communications its new owner. The news has expanded the likely number as well as claims of lawsuits by shareholders and account holders at Yahoo, said an attorney. 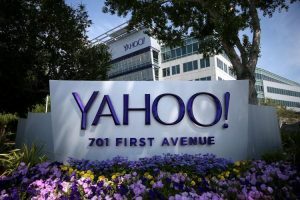 Yahoo, which was the early face of success on Internet for many across the globe, has already faced 41 class-action consumer lawsuits in state and federal courts in the U.S., according to a securities filing by the company last May. A lawyer, who represents some of the users who were affected by the Yahoo breach, said a judge in federal court who allowed a case to move forward still requested additional information to justify the claims of his clients. He added that he thinks the judge will have the facts now he was looking for. Last December Yahoo said that data from over 1 billon accounts had been compromised during 2013, which was the largest of several thefts that force the internet giant to lower its price on its assets it sold to Verizon. On Tuesday, Yahoo said that new intelligence that was recently obtained showed that all Yahoo user accounts were affected. Yahoo said that the investigation showed that stolen data did not include any passwords in text form, data for payment cards or information of bank accounts. However, the information had been protected by easy-to-crack, outdated encryption, according to experts in cybersecurity. It also had security questions as well as backup emails, which could make it much easier for those who have the data to break into more accounts that users hold. Many users of Yahoo hold multiple accounts, so there were fewer than 3 billion people affected, but this theft ranks as the biggest to date on Internet, and one that was very costly to the pioneer on Internet. In February, Verizon lowered its offer to buy Yahoo assets by $350 million following the two huge cyberattacks the internet giant suffered. Some lawyers have asked if Verizon would look now for another opportunity to adjust the price. Verizon will likely be the main target of any legal actions, and could be challenged when launching its new brand Oath that will link its AOL, Huffington Post and Yahoo properties.